I thought it would be another ordinary trade fair but I was wrong. The padaya gave me many answers on my search for truth and knowledge: reasons why I love traveling. 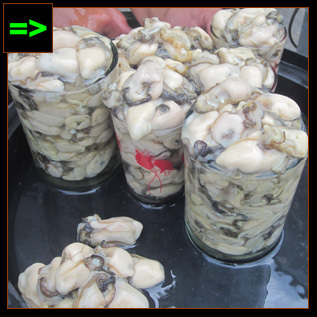 "I thought it would be another ordinary trade fair but I was wrong. The padaya gave me many answers on my search for truth and knowledge: reasons why I love traveling." 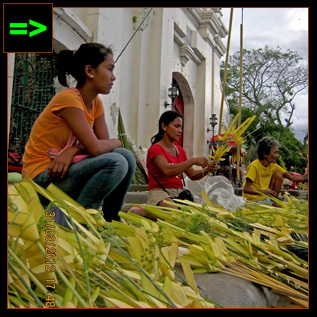 [BANGUED, ABRA, PHILIPPINES] ▬ The day has come when I am about to see a place where I could witness the products of the people's love for their culture and heritage. They are the tangible display of arts, crafts and industries that emanate from the richness of the land that nurture the longevity of their identity: both the seen and unseen. The wealth comes from their natural resources, the people themselves and in every word that they speak. I'm in Abra again. As always, I am inspired with every good encounter. 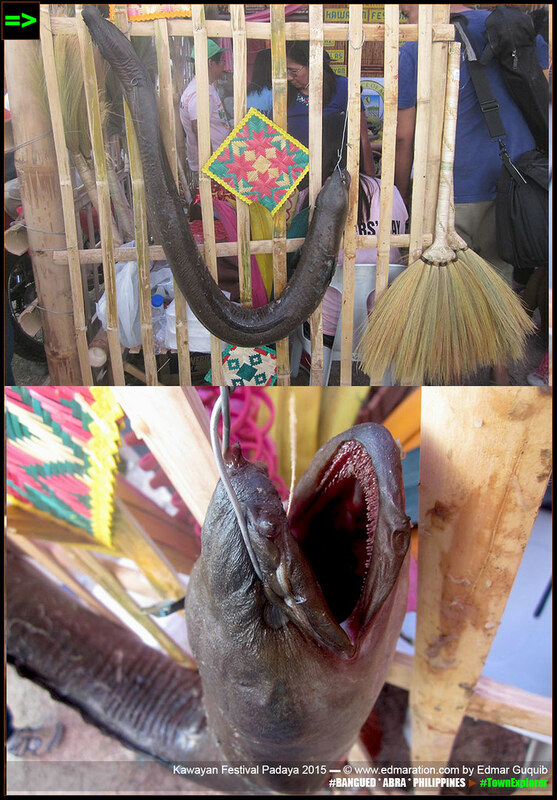 The padaya or trade fair is where the local products and produces of Abra are showcased. 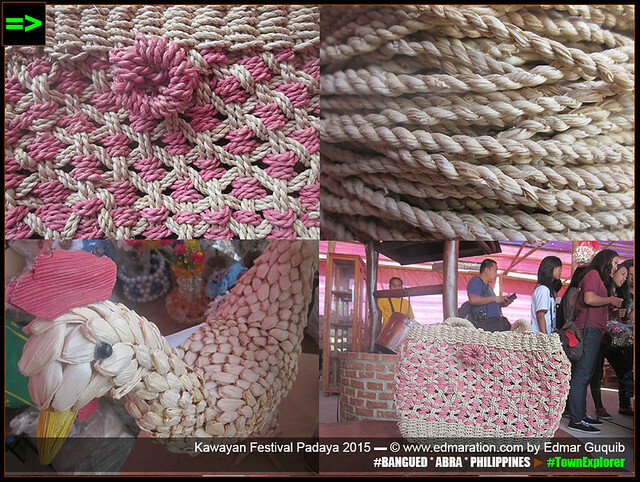 The foregoing is part of the Abrenio Kawayan Festival which happened March 6-9 this year (2015). 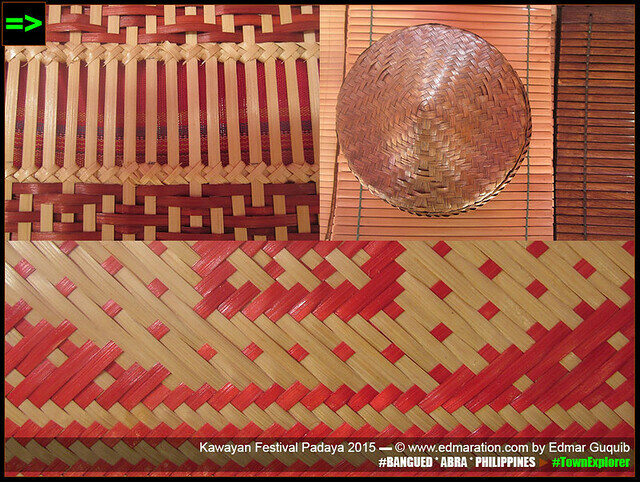 The padaya was put up during the course of the festival inside the Abra Grandstand (or "oval" as called locally). I thought it would be another ordinary trade fair but I was wrong. The padaya gave me many answers on my search for truth and knowledge: reasons why I love traveling. The following will feature what I've discovered in padaya with love. 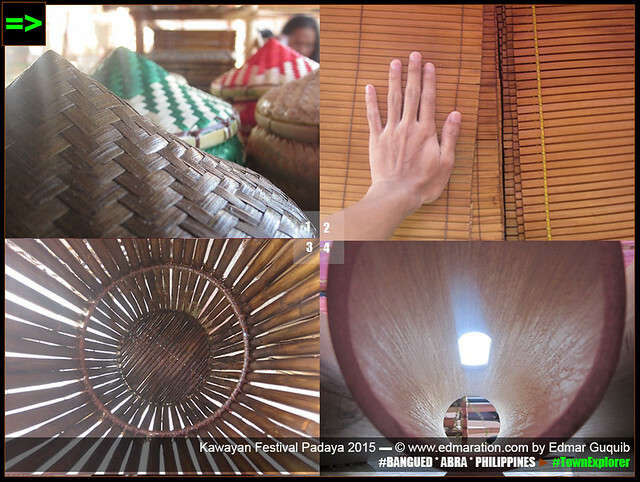 In the padaya, I learned that the products displayed is not just for trade purposes; it is also an avenue for learning. I was able to wear a tribal head wear called apangat used by tribesmen (male) during social occasions or rituals of the Maeng tribe of Tubo, the southern tribe of Abra. My eyes feasted in joy and bliss when I learned that the batek (bead that make up an accessory) I was seeing is an authentic one. The reason is, I have this fascination for tangible evidence of old and lost culture or civilization. To note, each bead means a lot, according to Marvie, a direct descendant of an authentic Itneg weaver in Namarabar village of Peñarrubia. One bead can be equated to wealth, like it is equivalent to one cattle, one parcel of land or rice field. 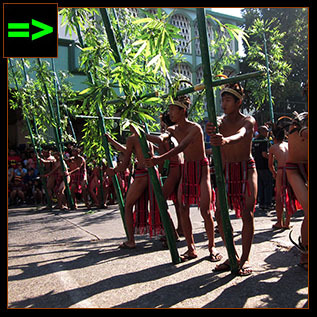 Marvie comes from the Illaud sub-tribe. 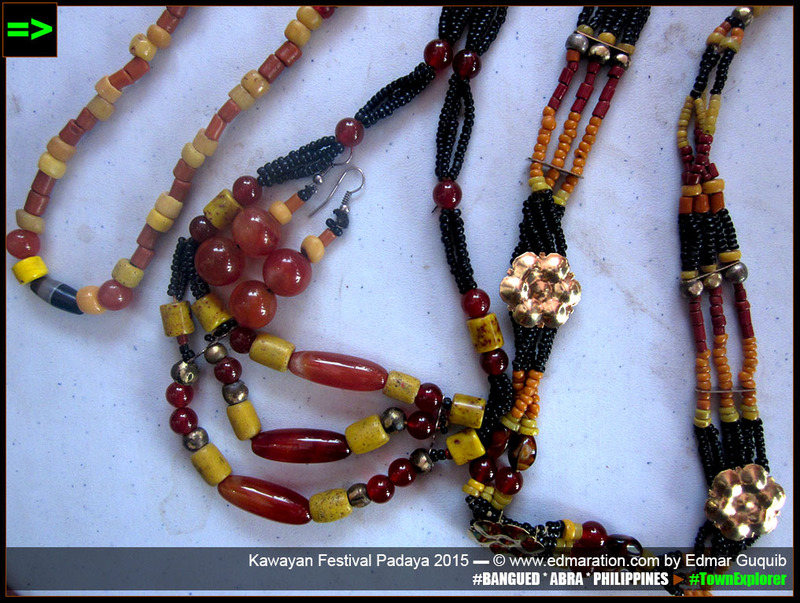 They are the lowland Itnegs of Abra, apparently, all sub-tribes treat beads as a sign of wealth and glory. Some beads are made of porcelain acquired through trading with the Chinese merchants back then. Some are precious stones. Some came from their immediate environment. Also from the Illaud tribe of Namarabar is decades-old (probably a century-old) authentically-woven baag with intricate embroidery and designs with beads of different elements of nature by which each has a significant meaning for them. Take for example, the sinan-tekka (gecko) or sinan-alutiit (lizard) embroidery which means "good luck" for them. And yes, everything you see on their baag has a significance which is essential in their cultural rituals. Since these are authentic products of their heritage, the price could raise everyone's eyebrows. 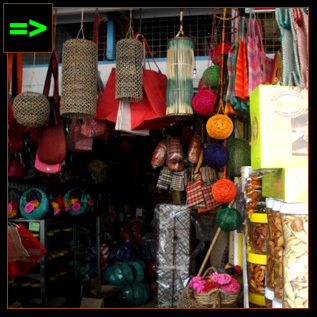 The accessories shown here are playing from 3,000 to 5,000 pesos (or more, depends on the item). 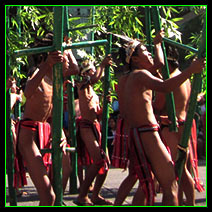 Some ritual fabrics play from 1,500 to 15,000 pesos. If you are a collector of museum-worthy artifacts, these are already priceless. I was able to acquire one authentic baag (the last available of its kind, yes! I'm lucky) with malatayum natural dye (the weaving in Namarabar is the only weaving village in the Philippines that use natural dye from trees or plants available from their environment). Hurry up now that the original items are still sold. 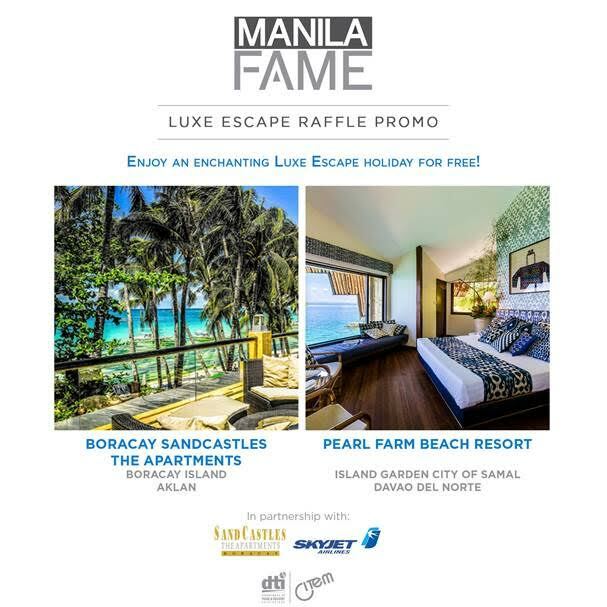 (Contact Marvie: 0926-916-9653). 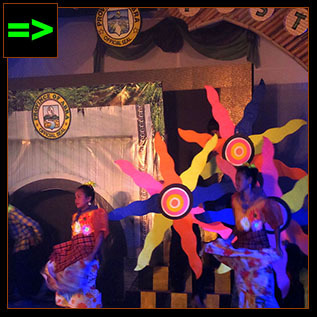 The weaving center is located in Namarabar, Peñarrubia town in Abra. 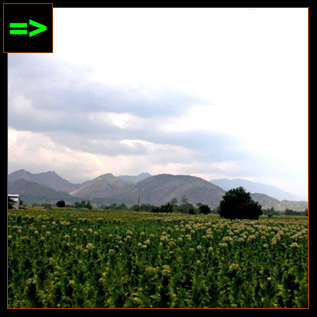 Abra, like its neighboring provinces, is a wine-making wonderland. 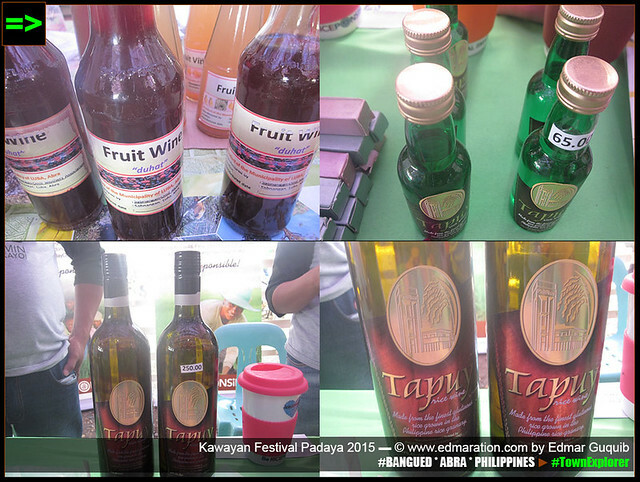 Probably, the most popular of all its wines is the tapuy or rice wine. 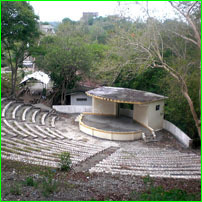 Tapuy is marketed as a one-town-one-product. Different packaging comes from each manufacturer. The best tapuy I've ever tasted all my life is the one from Tubo town. It was home-made though, not for commercial purposes. However, the commercially-made have the same sting to look for. 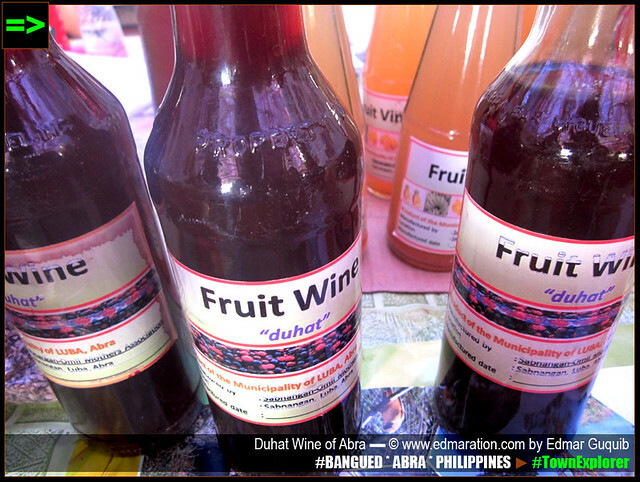 I also purchased one bottle of the duhat wine, the first time I purchased and tasted a wine of its kind. 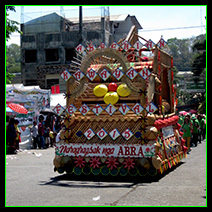 From duhat wine to rice wine comes the indigenous rice variety of the province of Abra called ballatinaw, regarded as the "King of Rice" by Felicidad Bautista of the Philippine Council for Agriculture, Forestry and Natural Resources Research and Development (PCARRD). Ballatinaw is an indigenous rice variety of Abra, known for its excellent texture and aroma, unique reddish to blackish violet color and high eating quality. 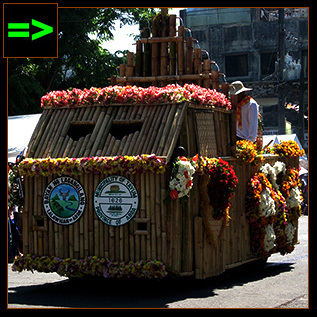 Kawayan Festival, that is; a festival made into existence to promote the bamboo products of Abra. In the padaya, bamboo products abound. 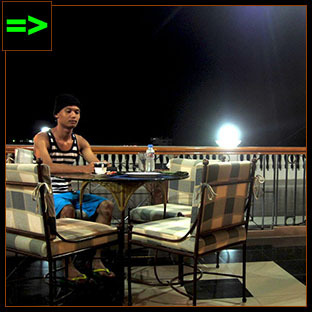 Name it: chair, table, furniture, sound amplifier, place mat, pamaypay, ash tray and hat they have them all. 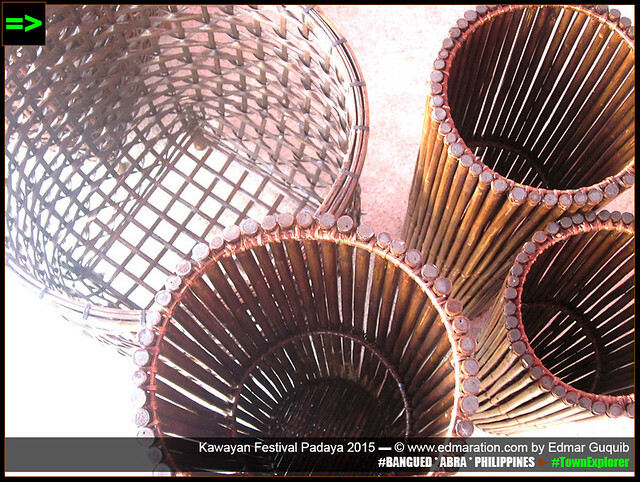 The padaya of Kawayan Festival features bamboo to be the jack-of-all-trades in the plant kingdom. If you think I'm referring to that crunchy kernel we all love eating, it's time to expand the corn's territory. 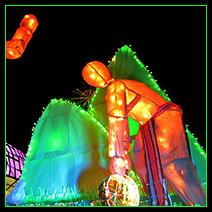 Imagine, bags, ropes and other stuff were created from corn husks. According to the creative hands who crafted these products, they collect corn husks from the farm after harvest and that would be for free since it is considerably a waste. For the makers of these products, these are not wastes, and money is waiting to be unleashed after these husks transform into expensive handicrafts. 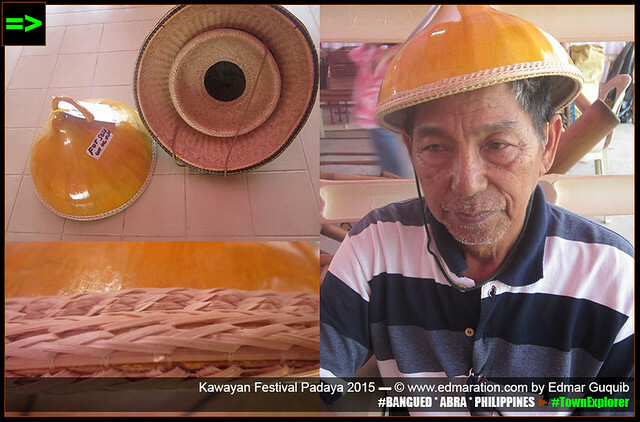 The best thing I've ever encountered in this padaya is the gourd casque (kattukong nga tabungaw) by Teofilo Garcia. Garcia was declared by the National Commission for Culture and the Arts as a "Living Cultural Treasure" in 2012 for being the last (if not one of the last) traditional artist of his generation to make such form of art to still survive. His product is regularly exhibited in different parts of the world. 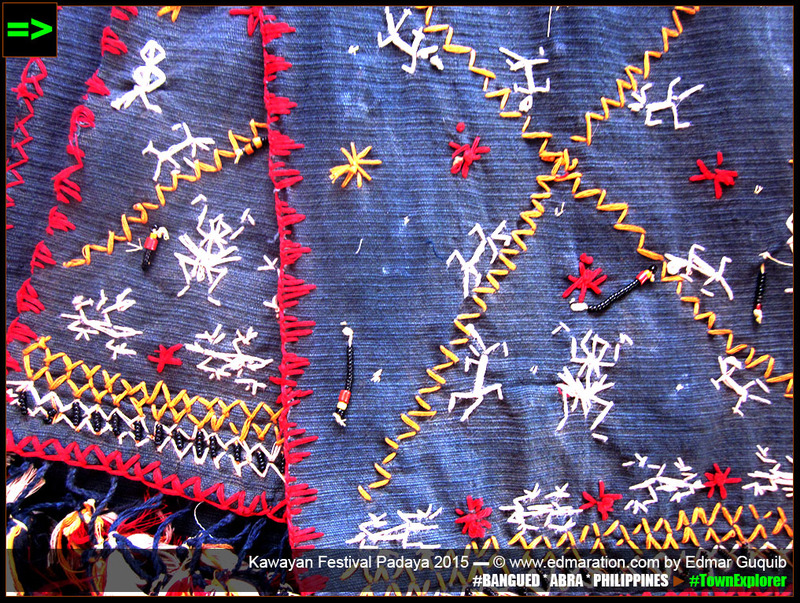 The National Living Treasures Award is the highest award given to traditional artists by the Philippine government. His product ranges from 1500 to 2500 pesos each. 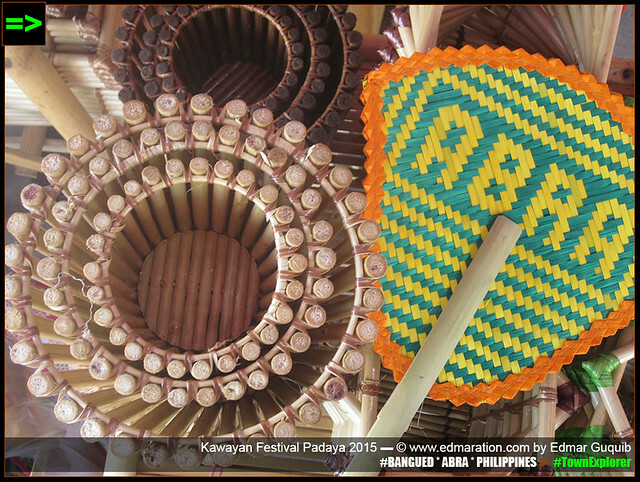 The things I've posted above are just pinch of what you could see and discover in Abra's padaya 2015. The following are some little additions. 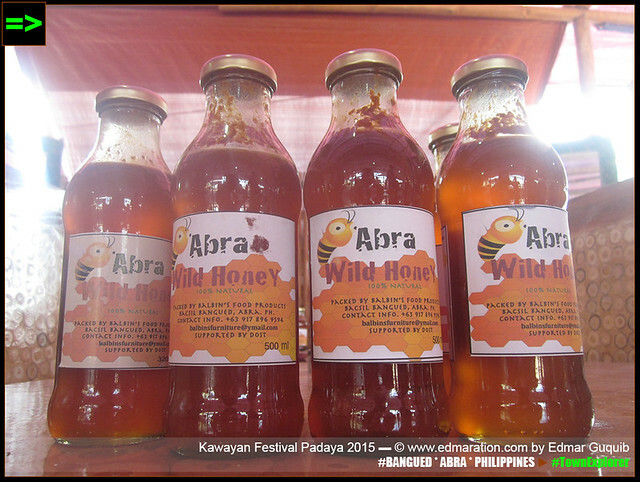 Other prominent product that is a mainstay in Abra padaya is the honey. The hinterlands of Abra are rich in honeys and expert honeybee hunters. 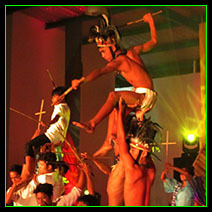 From honeybee hunters come the igat hunters who dive in the great rivers of the province to see them. 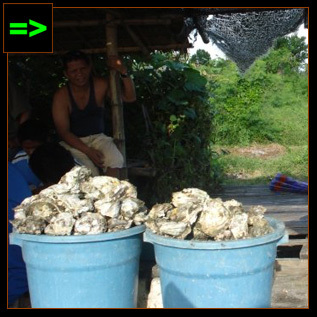 Igat is an exotic food from Abra. It is a river eel that is hunted at night. Learning is an integral part of growth. I never imagined that these products will come into their present form out of nowhere. Indeed, this is not just a simple display of OTOPs and local produces that can be bought by money. More than this, this is a display of knowledge, culture and heritage that money can not buy ▬ but can be experienced for free if you wish to. 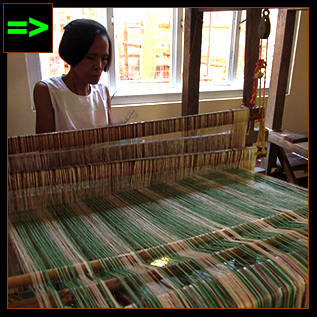 [UP NEXT] ▬ THE HISTORY OF WEAVING HERE IS INTERESTING AND MY THEORY WAS RIGHT. Who would have thought that today, their pasture became greener by keeping the inheritance manifested through their weaving skills. Hang on for Part 3. 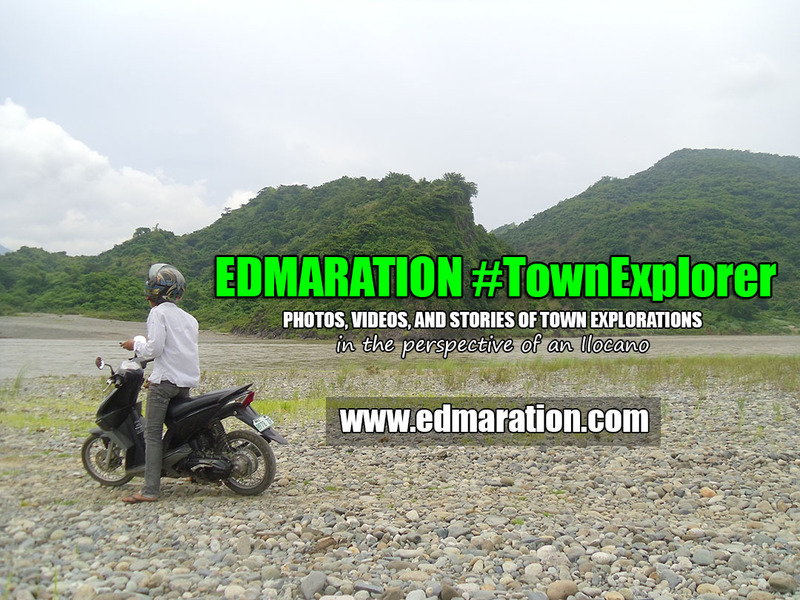 TEASER ► They have proven that the province of Abra is a sterling destination for mountain culture lovers. 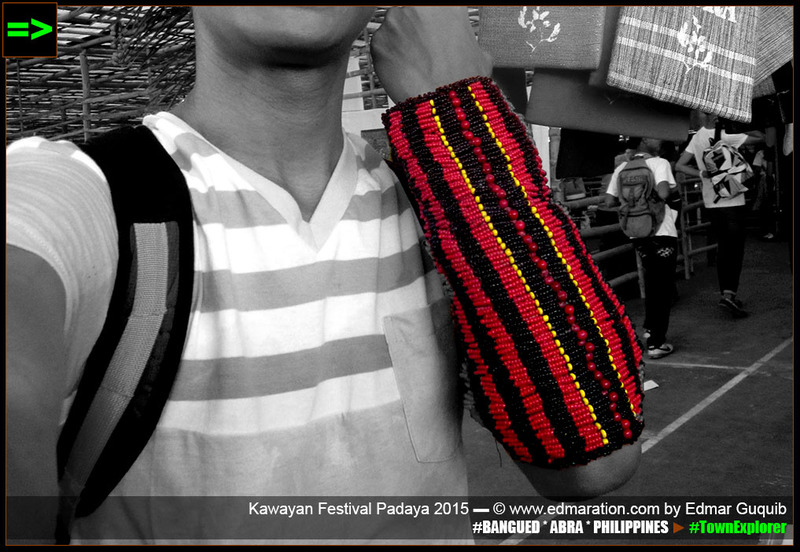 Big thanks to Abra Vice Governor, Hon Chari Bersamin, for inviting us to witness the Kawayan Festival 2015. 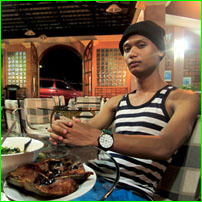 With me is Estan Cabigas of langyaw.com. || Do you want to post a comment now? Click here to jump to the comment section. 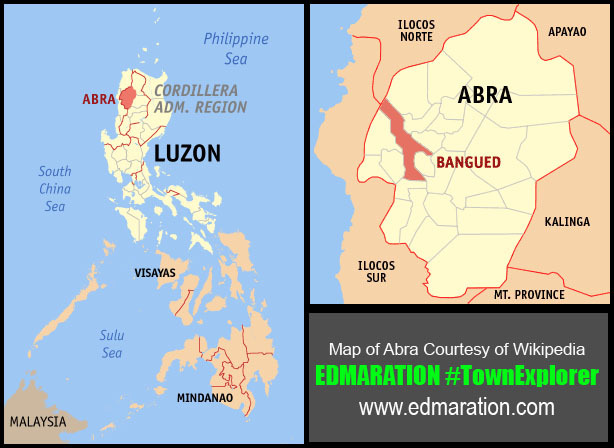 CLICK MAP TO DISPLAY LATEST ENTRIES COVERING ABRA. TEASER ► While the old cathedral exudes peace and calmness, this area is the contrary. Almost everyone has a mission to accomplish. This street is action-filled." 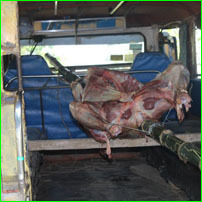 TEASER ► Villasis is booming, many industries are flourishing, trade and commerce are doing well, but tupig, one little cheap food remains to soar high with pride from the community. TEASER ► For sure there is a harsh effect to health and at the opposite side, there is a harsh effect for the livelihood of the people. Indeed a big debate." 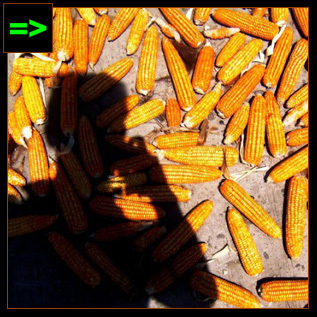 TEASER ► This post might be corny, uh... trite, dated, melodramatic, or mawkishly sentimental, dull and tiresome but with pretensions of significance or originality, yet I think it is safe to say that spending quality moments at the corn fields isn't a corny stuff. 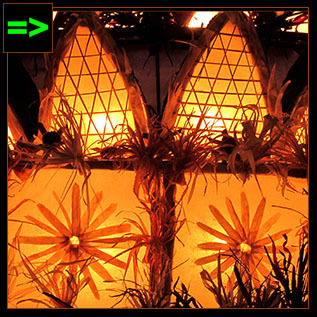 TEASER ► These products have been a part of the daily living of the Bicolanos and have become their identity - hence a part of their culture. 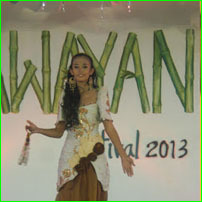 Shop the culture of Bicol now! TEASER ► It is noteworthy that these roads hail their own king. 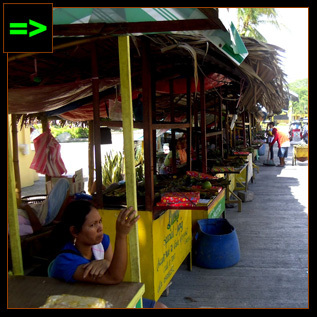 They ignore the jeepneys and tricycles but it has given way for industries to thrive in this town. 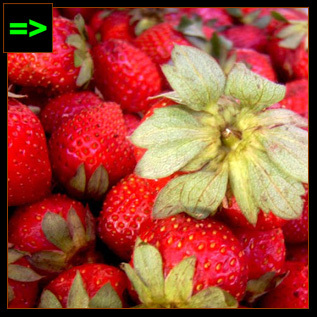 TEASER ► Contrary to the belief of many, strawberries are not true berries, it is fragaria, as to eggplant, eggplant is not a vegetable but a berry.